Food reminds us of special occasions, family traditions, and customs. Meals shared offer precious memories and often the best stories come out of a family dinner. 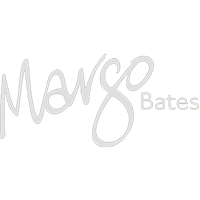 Margo Bates ‘owns’ the imaginary Marge’s Diner … hundreds and hundreds served! She comes from a long line of cooks. From the early 1940’s to late 1950’s, her parents, aunts, and uncles owned variations of the Telkwa Cafe. Good Cookin’ at Marge’s Diner – hundreds and hundreds served offers a treasure-trove of family memories, recipes, and anecdotes, including how the Telkwa Hall Rum Punch got its name. Here are some of our most-requested recipes. These crunchy dill pickles are my most sought-after condiment. They are relatively easy to make, and outside of cleaning the dills and soaking them in water overnight, the process for one batch should take two to three hours. The secret? Get everything you’ll need ready ahead of time. This is our family’s most-requested recipe. Some people say it is because we have Irish, Newfie and Northern BC in our blood. Maybe. More likely because it is quite the thirst-quencher when one is out on the dance floor. Or just standing around. A friendly reminder, don’t drink and drive. Considering I learned how to cook this sauce in northern British Columbia, even our Italian friends and our relatives like it. This salad was created in honour of my high school’s Grad Class of 1969, and the many New Year’s get-togethers we’ve had over the years. These dates are readily available in stores. We dare you to eat only one. Four, then. Six? Geez. Save some for your guests.